Want to support our Alle-Catt project? Join our ever-growing circle of passionate supporters by clicking below. The Alle-Catt Wind Farm is being developed by Invenergy's six-person New York development team located in central New York, with support from engineers, construction managers and other professionals at Invenergy's headquarters in Chicago, Illinois. Valessa Souter-Kline is the dedicated Project Developer for our Alle-Catt Wind Farm and is supported by Ryan Hicks, the team's Renewable Development Coordinator. 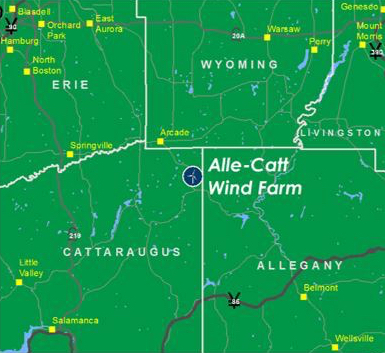 The Alle-Catt Wind Farm will boost the local economies of Allegany, Cattaraugus and Wyoming Counties and create jobs, all while generating clean energy to meet New York's growing electricity needs. We are proud to contribute to the economic growth of our host communities in western New York while solidifying our state and national energy independence. Invenergy is developing Alle-Catt on approximately 30,000 acres of private land it is leasing in the towns of Arcade, Centerville, Farmersville, Freedom, Rushford and Machias. The project enjoys the support of over 300 local tax-paying residents, crosses three county lines and will generate a tremendous amount of energy and income for the local communities. Check out some more project detail below! Wind power is the new cash crop for farmers and landowners. Each year the Alle-Catt Wind Farm will generate $7 million in revenue to the community in lease and PILOT payments, taxes, and operations and maintenance spending. 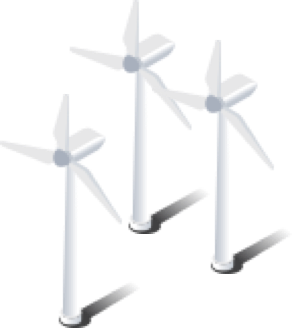 Invenergy plans to hire an project manager and several wind technicians to perform routine maintenance on the wind turbines. These will be permanent positions will based at a new O&M Building to be built by Invenergy in the project area. Interviews will begin after the start of project construction. 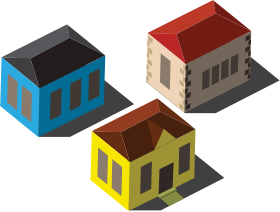 Estimated annual property tax and tax-related payments include $3,000,000 per year in PILOT and host community agreement payments and $190,000 per year in fire department taxes. Total shown is the estimated total payments over 20 years assuming 2% escalation per year. These projects have injected millions of dollars into local economies and provided an additional source of clean energy for New Yorkers and our nation. Invenergy continues to develop other wind and solar projects across New York, all in various stages of development.